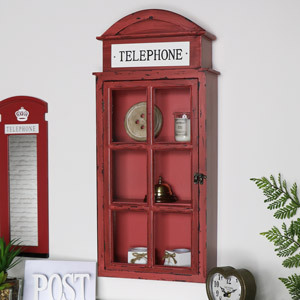 Do you love collecting beautiful home décor pieces but have nowhere to put them? 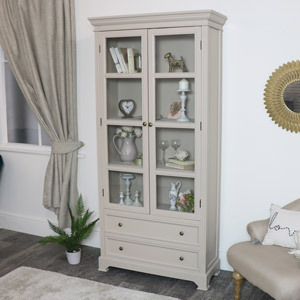 Have a browse of our fabulous selection of display cabinets and store your favourite bits and pieces somewhere gorgeous. We stock a large selection of vintage, shabby chic, ornate, rustic and French inspired display cabinets in a variety of colours. Is your home styled in the country cottage chic look? 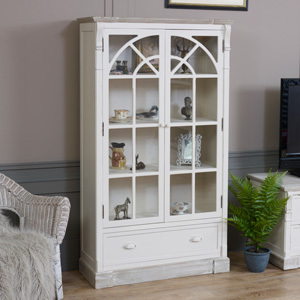 Our Lyon range Cream Display Cabinet has a beautiful rustic, country design and beautiful painted cream distressed finish. 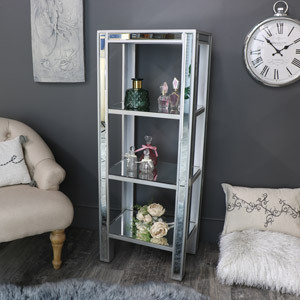 Are you looking for a classic, ornate French inspired piece to add to your vintage home? Our Louis XV range dresser would look fabulous. Or perhaps you want a cabinet that can blend into both traditional and contemporary interiors? The Stanford ranges simple and effortlessly stylish design is for you. All of our display cabinet are expertly crafted with the highest quality materials and are finished beautifully.